Home /WHO IS COURTNEY DEVONISH? 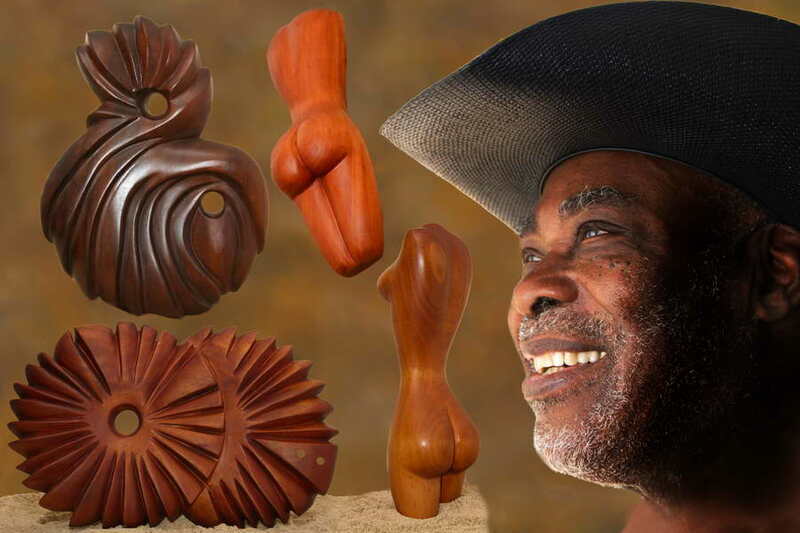 CEO – DEVONISH ART GALLERY – Barbados 1970 -1990. Anguilla – 1988 to present day. very interesting website. I especially enjoyed the art that I got to see as I browsed through the site as I could tell that it was very original and that you had put an incredible amount of sincere effort and though into it. I found the wooden sculptures to be particularly interesting. If I live in the U.S. can I still order? Yes most of my collectors are from the US, shipping is free. Courtney, your bio is quite impressive and it made me interested in your work. After reading about you I was eager to open the gallery and see some of your pieces. I look forward to when you add even more photos of your sculptures and ceramics. Are you going to be selling your artwork through your website? Buying online is much easier for me than going to a brick and mortar gallery. Best of luck with everything! Thanks for your comments , all the work is for sale and there is no additional cost for shipping, the small hearts are a collectors item.You should read the info on them. You are very talented Courtney. I looked at some of the artwork and pieces and am very impressed. Your bio is very impressive and unique. I really like the beaded jewelry by Carrolle also very impressive. I didn’t look at all of your pieces but do you carve Pelicans? I love Pelicans they are one of my favorite birds. Thanks for viewing, my wife really enjoys beading, yes i do make pelicans, both wood and ceramic, if you go through the artwork by Courtney you will see a photo of a pelican, funny thing , i am out of ceramic pelicans and plan to make some today. A real pleasure to meet you and although we have not met I feel as if I know you. I love art, sculpture. I have a neighbour who is an artist and she paints with so much feeling.I saw your wood pieces you made and it looks like you breathed in them. Your wifes’ jewellery is equally stunning. I love Italy so much that I visit as often as I can. The art galleries blow me away and I can spend hours just soaking it all up. I wish you and your happy and successful days and the joy you bring to people with your gifts must be so rewarding. Thank you Richard, I really enjoyed Italy, the food, the culture and the people. Art is my life and has been for the past 48 years.Have a wonderful day.